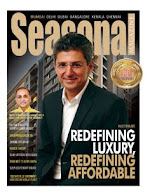 Seasonal Magazine: Prestige IPO - What are the Core Attractions? Prestige IPO - What are the Core Attractions? Prestige Estate Projects Ltd’s IPO is valued almost at par with industry P/E, but its strong branding, ability for premium pricing, developable space of 57.36 million sq ft, strong focus on the Bangalore market, low debt-equity ratio post-IPO, relatively small equity base, flexible performance during downturns, and compounded annual growth rate of 36% in revenue during the last four years, are all positives for this Issue. The jinx facing realty IPOs has finally been busted, with Oberoi IPO getting oversubscribed by 12 times. This undoubtedly makes the market sentiment better for the next real estate IPO down the line, of Prestige Estate Projects Ltd that opens on 12th Tuesday and closes on 14th Thursday. Investors are keenly looking at the fundamentals of the Issue, not only to ascertain whether this is another good opportunity, but to get confirmation on whether the trend would hold. Compared with Oberoi, the Prestige Issue is more bang-for-buck in some ways as the total saleable (and leasable) area that Prestige is developing (or can develop) stands at 57.36 million sq ft, whereas in Oberoi’s case it was around 2.5 million. Of course no two markets are alike, but Bangalore real estate demand is now on a definite upswing. The networth of Prestige is around half of that of Oberoi on a consolidated basis, but Prestige has the distinct advantage of achieving it on a significantly lower equity base. Prestige’s focus on a single booming regional market and distinctly luxury projects will also entice investors. Though they have ongoing projects in several South Indian cities, 73% of their projects are in Bangalore. The Issue has a rating of 3/5, verifying average fundamentals. The price band is fixed at Rs. 172 - Rs. 183. Since retail participation is expected to be not extra strong - Oberoi’s retail segment was barely subscribed one times - Prestige too has earmarked a significant portion for QIBs and anchor investors. Post-IPO the debt-equity ratio of the company will come down to 0.5, which is an attractive position compared with many peers. Prestige Group’s IPO is coming after a long and prudent wait for around 10 months for the capital markets to gather momentum and for real estate prices to improve. Besides the reasonable issue size of around Rs. 1200 crore, Prestige IPO is reasonably valued, leaving some money on the table for its investors, and thus likely to have a smooth sail. At a P/E multiple of around 41, the Issue is comparable to the capital market industry segment of ‘Construction & Contracting - Real Estate’ that currently trades on a price-earnings multiple of around 39.50. For the past four years, Prestige’s revenue has been growing at a compounded annual growth rate of 36%. Industry leaders DLF (BSE: 532868, NSE: DLF) and Unitech (BSE: 507878, NSE: UNITECH) are now trading at P/E ratios of around 75 and 42 respectively. Two other aspects are likely to favour this realty IPO, one being that capital markets are now more appreciative of focussed regional players, as many pan-India developers are finding themselves over leveraged. The bulk of Prestige projects continue to be in Bangalore, and the Group has a newfound focus on the buzzing North Bangalore, where it has projects like Prestige Oasis and Prestige Golfshire that commands price points like Rs. 2 crore to Rs. 7 crore for luxury villas. Secondly, Bangalore realty which largely depends on senior-level IT employees, is on an upswing now with salaries increasing by 15% to 20%. While most developers like Sobha and Brigade have hiked prices between 5-10%, Prestige could hike prices by 15% without affecting demand. Though Prestige declined to go public during the last realty boom, unlike direct competitors Sobha Developers (BSE: 532784, NSE: SOBHA) and Puravankara Projects (BSE: 532891, NSE: PURVA), it had filed its DRHP on 26th November 2009. It had also announced pre-IPO placement plans. The delay in finally going for the IPO signalled a kind of prudence, as another Bangalore based developer, Nitesh Estates (BSE: 533202, NSE: NITESHEST) , had not done too well with its recent IPO. Prestige is also continuing their efforts to differentiate themselves from competition by launching distinctly premium projects like Silver Oak, which is mainly a villa project following Middle East architecture. 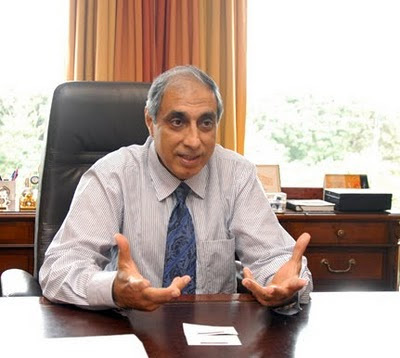 At the same time, Prestige Chairman Irfan Razack who is also the Vice-President of industry body CREDAI, has to do a balancing act by coming out with affordable projects, which he prefers to call ‘standard’ projects as against the premium projects Prestige specializes in. South India based Prestige is a developer who is doing noted projects like UB City and Shantiniketan, and is very closely and equally held by three brothers including Irfan, and the Group has generally shied away from company level stake sales, even while expressing comfort at project level stake sharing. The current IPO plan involves around 20% dilution. Size-wise, Prestige is comparable to Sobha with a FY’2009 turnover of Rs. 914 crore, and almost double the size of Puravankara. The book value of the Prestige share is quite good, and there is no reason why the Group can’t successfully conclude its IPO as the price-earnings valuations are reasonable, around the industry average. To even better its fundamentals, Prestige has lined up Rs. 7000 crore of new launches in calendar year 2010, of which a few has already been launched.